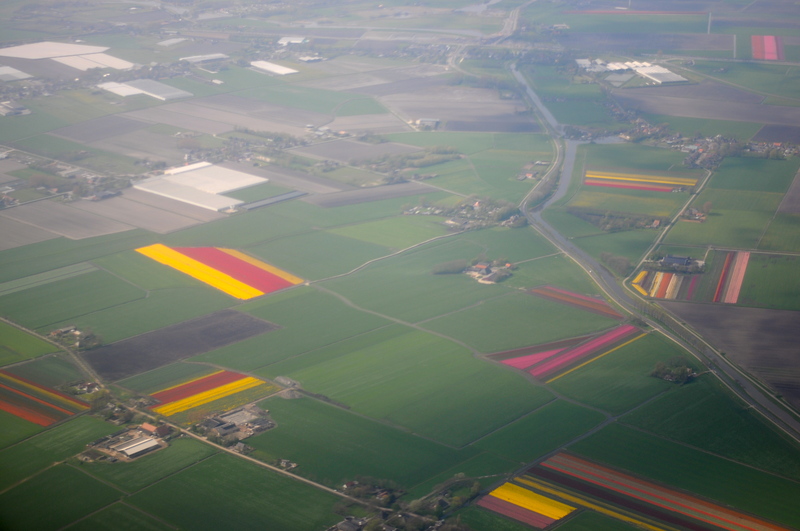 Jaro managed to capture this shot of the tulip fields as he flew into Amsterdam. Just lovely. This entry was posted in Amsterdam, Travel and tagged Amsterdam, Holland, Netherlands, photography, Tulips by Julie. Bookmark the permalink.